Did you know that your air conditioning operates year round? It cools in the summer, in the winter it helps defog your windshield. It also drives many other engine components. With six major AC components, it’s important that each component is operating properly. 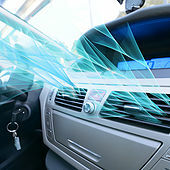 If you are not sure how your AC is functioning, please make an appointment to have one of our ASE-certified technicians inspect the system and get you back on the road (cool and safe). Give us a call or request a quote below.